One month is a short period, yet I was far from imagining that it could go so fast. After all, people say time flies when you are having fun! I’m Marie and here is a retrospective on the first month of my internship in the Berlin-based start-up WoodUp, a company designing and manufacturing solid wood accessories for Apple devices. Enjoy! After having heard a hundred times how vibrant and bustling Berlin is, I decided to go and see for myself. What I really wanted to experience was the innovating aspect of the German capital city, the European stronghold for start-ups as it is famously known. Not only would this experience perfectly fit in my schedule as a business student but it would also strengthen my interest for entrepreneurship. I was thrilled to start looking for an internship to be fully immersed in this creative environment, this is how I happened to find WoodUp! After my first interview via Skype with Mila -one of WoodUp’s co-founder-, I knew I had found what I was looking for: a marketing mission with various tasks, a small yet professional team and a young but already well-establish company! Everything seemed to go smoothly but the hardest was yet to come: I had to find accomodation! It didn’t take me long to discover Berlin’s housing crisis and here I was a week before my arrival still looking for a shelter. I finally found a wonderful shared flat in the Schöneberg area the very last minute. 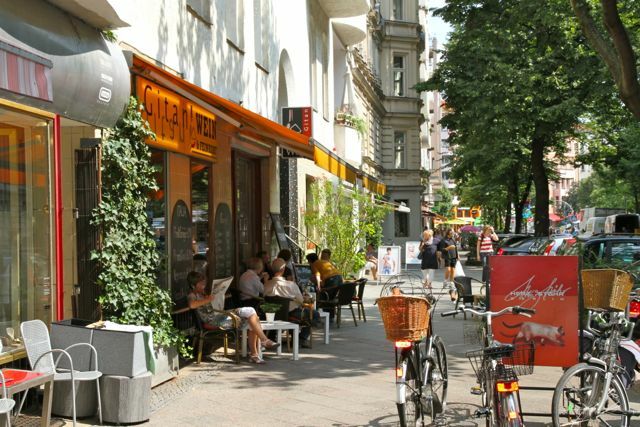 As soon as you arrive in Berlin you understand how big the city is and that going from one point to another is not as quick as it is in Paris. You experience the S-Bahn/ U-Bhan/ Tram/ Bus labyrinth and your bike suddenly becomes your best friend! It was way faster to go to work by bike than it was using public transport. Plus, it is a lot more pleasant to pedal through Tempelhof old airport, parks and cycle lanes with the fresh morning breeze, than getting stuck in crowded underground trains and taking ages to change stations! I made my final decision of riding the bike even when it rains after one day, while sitting in the S-Train, I inadvertently dropped my 100€ monthly transportation ticket between my sit and the window… No big deal, I thought. But then I realized I could not get it back! I had no other option than to wait to get to terminus, which was 25 stations later and ask for an agent. But then my savior showed up: a two-meter-beer-drinking man with the broadest shoulders I’ve ever seen! The only thing he asked me to do was to hold his beer as he handled the rest. He started taking several tools out of his backpack and after 30 minutes of effort he managed to get back my ticket. The whole wagon then broke into a round of applause! 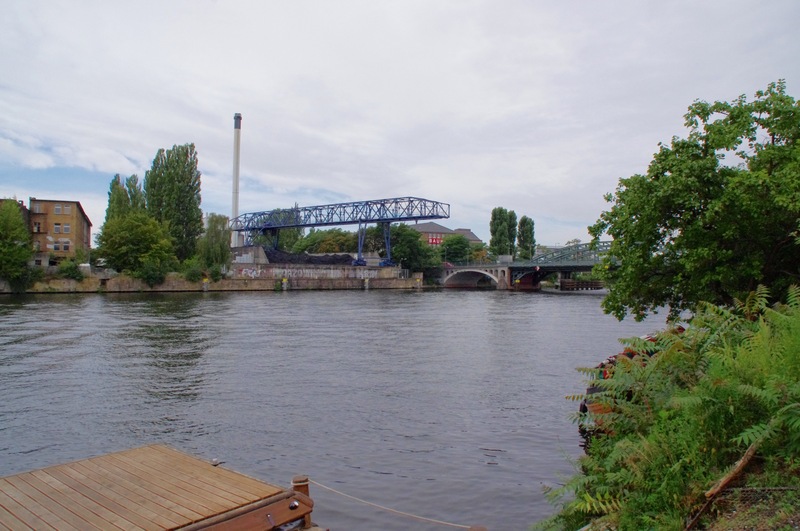 WoodUp workshop is located by the Spree river at the heart of a dynamic industrial park in the Schöneweide area, in East-Berlin. The workshop is shared with other carpenters and freelancers, all working in the field of craftwork and design. I am positive: there is no better, more creative and stimulating environment to host such an ambitious company as WoodUp. 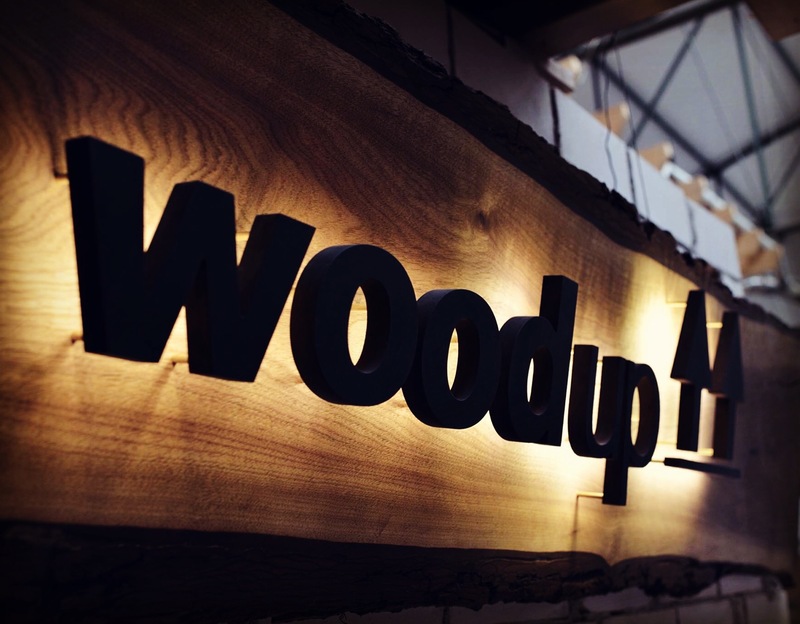 The innovative team behind WoodUp is inspired by purist design and driven by the passion for traditional wood work. WoodUp’s inspiration came from the unsuccessful search for truly appealing iOS accessories. It happened during Christmas 2012 as Marc Pohl (product designer and WoodUp’s co-founder) bought an iPad for his mother but wanted to make the gift more personal. He looked for a nice handmade accessory for the iPad but couldn’t find anything good enough. From there, Marc’s idea of creating his own line of Apple accessories sparked and took off. Shortly after, Mila and Julian joined the adventure: the three invested their savings and founded WoodUp. After having spent a month at the core of WoodUp, I am impressed about how they have managed to turn their project into a successful and professional start-up. Needless to say, it is only the beginning! I believe what makes the strength of WoodUp’s team is definitely their expertise in various fields. Mila manages to cope with many sectors: she holds incredible marketing skills, her business development strategy has proven its worth, administrative work as well as public relations hold no secret for her! 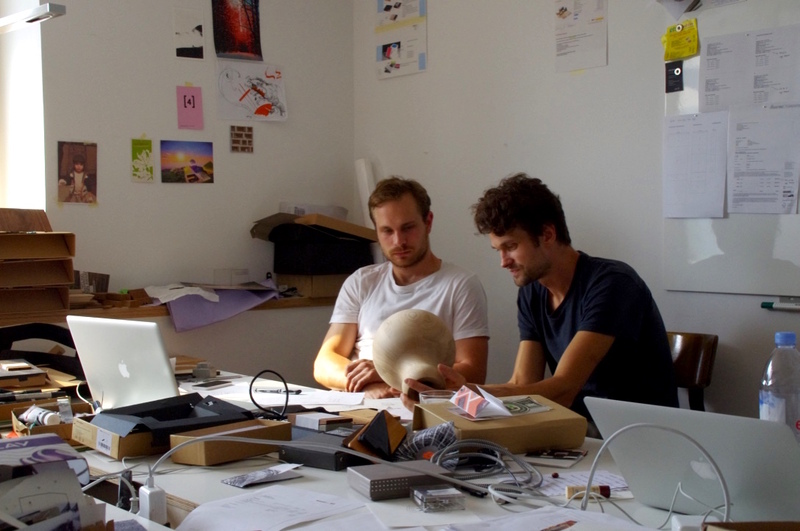 Marc and Leon are both talented and inspiring product designers. From the very first idea to the final prototype they are the one behind WoodUp’s stylish products. Julian skills when it comes to woodwork are amazing. But his passion he puts into it and the look in his eyes when he sees a raw piece of wood transformed into a wonderful design object, is definetly what makes the difference. Every team member is for sure passionate about their field of expertise, yet WoodUp’s structure enables them a lot of flexibility. Here, nobody confines himself to his strict occupation and it is no surprise to see Mila helping Julian with the products or Leon giving a hand with Mila’s latest press release. From carrying out business intelligence to elaborating an e-commerce strategy for the French market and creating content for social networks, my mission at WoodUp is varied and embraces a lot of competences. With no real background in design, I have everything to learn but this is actually what makes my internship so thrilling! I quickly understood that I could count on the expertise of the team, always there to give me sound advice. Not only would Mila help me with our social media strategy but Marc would answer all my questions about the products. I am discovering and learning so much about the world of design: How to make packaging more appealing for customers, which illustration would best decorate the packaging, which photo’s brightness would enhance the product, what is the best marketing strategy in the design sector. If I had to choose one thing of my experience at WoodUp and among all my discoveries so far, I would pick my first design thinking workshop! I had heard several times about the power of design thinking and how efficient this method in terms of customers’ needs can be. During my internship I could see it for myself for the first time. 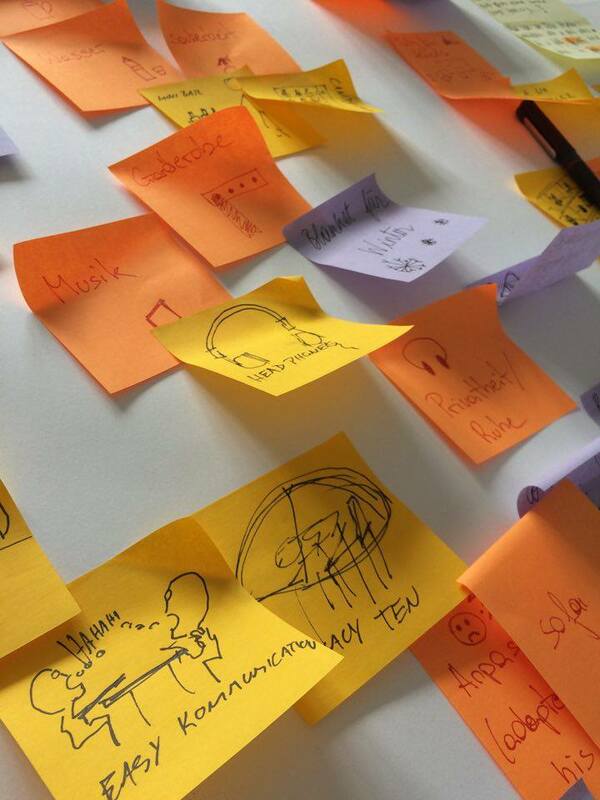 For a whole day, we (WoodUp’s whole team) gathered to brainstorm and ideas immediately started flowing! It wasn’t about having the best idea straightaway but about generating the broadest range of possibilities. And wow… I’m so thrilled to see that having started from scratch we are already building prototypes! As soon as I arrived at WoodUp, I have been considered a member of the team. I was happy to see that moments shared by the whole team mattered a lot and were fully part of the company’s philosophy. From morning pastries to coffee time and lunch, daily routine is characterized by these small gatherings at WoodUp. The warm atmosphere is also shared by the whole workshop and even by the neighbors. 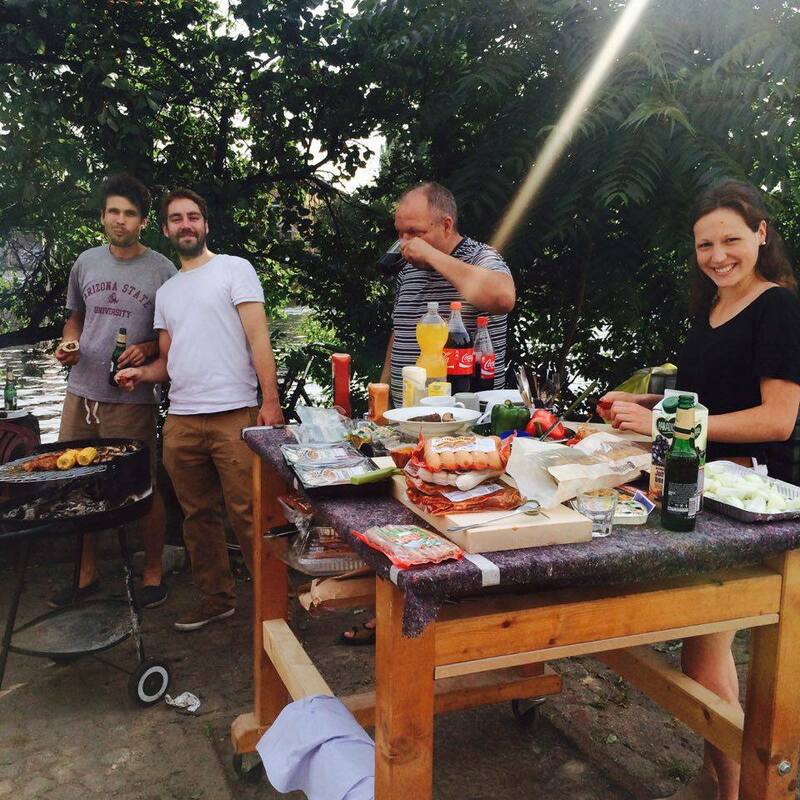 Evening grills and our shared beers after work are fully part of the workshop habits! I am so thankful for WoodUp commitment and for what they are doing to make my internship a truly unique experience. Special thanks go to their patience while waiting for my German gobbledygook, to Mila’s delicious lunch, to Leon’s (home-made) morning pastries, and to Marc and Julian’s joy of life… This internship is of course an enriching professional experience but, above all, a human adventure.